It is not surprising to see a child trying to follow in the footsteps of their parent who has managed to achieve a lot in a particular profession. While some of these children do go ahead to exceed what their parents manage, a good number of them find themselves to be left in the shadows of their parents’ greatness. That can, however, not be said about Robbie Knievel, who followed in the footsteps of his pioneering father to become a daredevil stuntman. Robbie Knievel was born Robert Edward Knievel III on May 7, 1962, in Butte, Montana. He is the third child of four children to the late stuntman, Evel Knievel. His siblings are Kelly, Tracey, and Alicia. From a very young age, thanks to the profession of his father, Robbie Knievel began jumping his bicycle at the age of 4. By the time he turned 7, he was able to ride motorcycles, and a year later, his father gave him the opportunity to perform in his show at Madison Square Garden. From that time, the young boy went on to become a mainstay in his father’s shows, even going on tour with him and becoming a warm-up act. Knievel attended Central Catholic High School in Butte, Montana but was unable to graduate as he had begun to focus on his career as a stunt performer. In the late 70s and 80s, the young man was able to fully make a career out of performing stunts, most of which got aired on television as he began to be compared to his father. Robbie Knievel embraced the comparison and took it upon himself to often replicate his father’s most notable jumps. What, however, differentiated the two men was that Evel used a Harley-Davidson XR-750 motorcycle to make most of his record-breaking jumps while Robbie used a Honda CR500 motocross bike. The Harley was a heavier and less agile motorcycle than the Honda which was made for jumping while the other one was made for flat-track racing. Some of Robbie’s most notable jumps so far include a jump over 10 limousines at the Lake Elsinore Storm Stadium in 1996, over 15 Diet Pepsi trucks at the Chinook Winds Casino in 2003, over 24 Coca-Cola Zero truck cabs at The Kings Island Amusement Park outside Cincinnati, Ohio in 2008, and most recently, 150 feet over tractor-trailer trucks in Coachella, California at the Spotlight 29 Casino in 2011. As earlier stated, Robbie Knievel is the son of legendary stuntman and entertainer Evel Knievel and his first wife of 38 years, Linda Joan Bork. Unlike Robbie who got introduced into stunt performance by his father, Evel chose to begin making a living as a daredevil out of the necessity of having to provide for his family following the failure of the many businesses he had gotten involved with. His first performance was a jump over a 20-foot-long box of rattlesnakes and two mountain lions with a motorcycle at a small arena which he managed to sell out. While he landed short of his target as his back wheel hit the box with the rattlesnakes, Evel still managed to land safely and since that moment, having realized how much money he could make from performing such shows, never looked back. Some of his most notable attempted stunt performances include a motorcycle jump over Caesars Palace fountains, a rocket-powered cycle jump over the Snake River Canyon, and a motorcycle jump over 13 London buses in Wembley Stadium, among others. After having suffered many life-threatening injuries during the course of his career, Evel, who was inducted into the Motorcycle Hall of Fame in 1999, lost his life following a battle with the pulmonary disease in 2007. 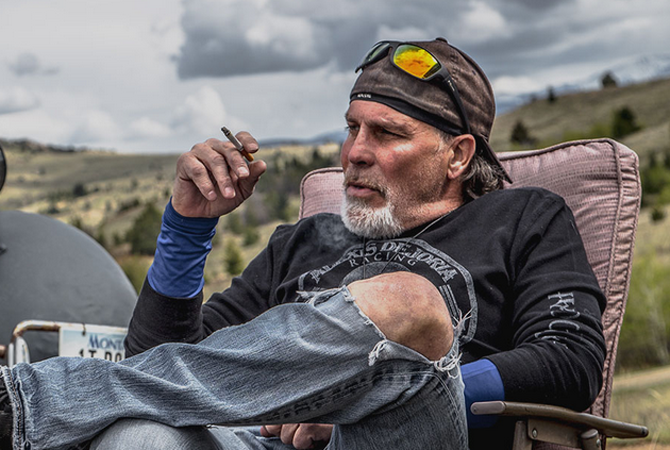 Another member of Robbie Knievel’s family who has made a living from performing stunts is his older brother Kelly, who like him, was involved in their father’s stunt shows as an adolescent. He went on to have a brief career as a stunt performer but did not follow it through as Robbie managed. Following the death of their father, Kelly took over Knievel’s estate and was in charge of developing Knievel-related products as well as collaborating with Harley-Davidson to develop a museum exhibit in honor of Evel. It is not clear if Robbie Knievel is married or divorced, however, he has two daughters; Krysten and Karmen. He further has two grandchildren; a granddaughter named Analise and a grandson named Kane. According to several sources, Robbie Knievel has an estimated net worth of $10 million. The stunt performer, who has set up to 20 world records, many of which have been shown on television, amassed his wealth through the money he has received from broadcasters and organizers of the shows he has performed in. He has also been able to set up a custom motorcycle shop in New Jersey, which helps with his income revenue.